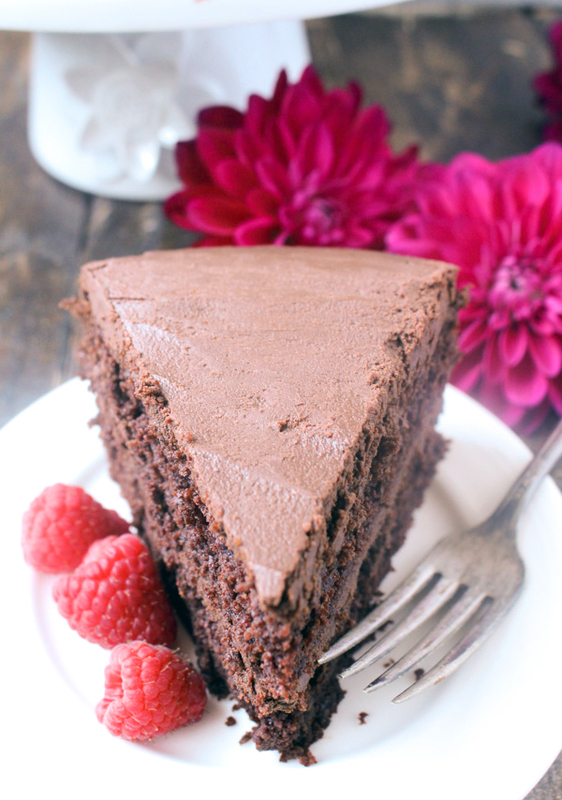 This Easy Paleo Chocolate Cake is moist, light and airy, and perfectly sweet. 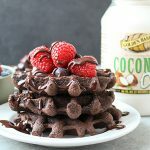 A gluten free, dairy free, and naturally sweetened dessert that everyone will enjoy! I’m so excited to share this recipe with you! My daughter turns two on Wednesday. I’ve been hyping her birthday up to her and she’s getting excited- it’s fun to watch and so cute. That is also the day we get to adopt her! It’s going to be a fun and very special day. 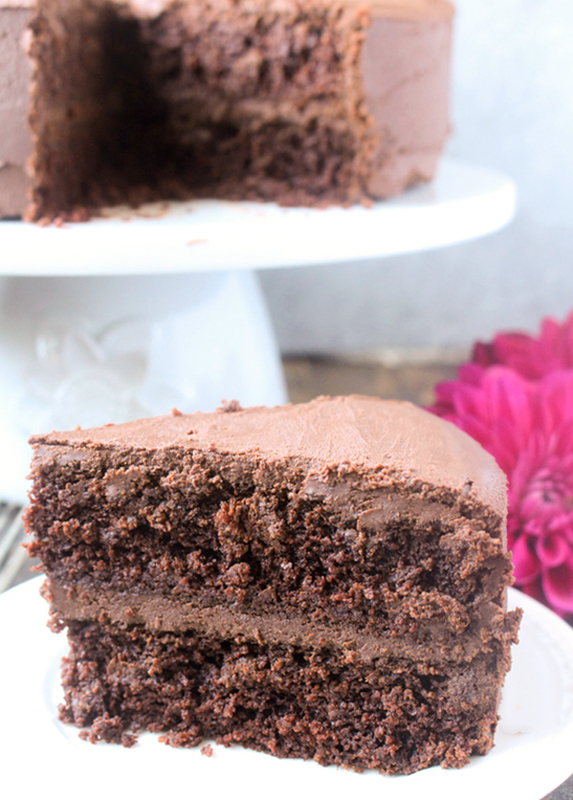 And what better way to celebrate than with chocolate cake! There are no pictures of her this time because she was just getting over being sick and wasn’t really into eating cake. 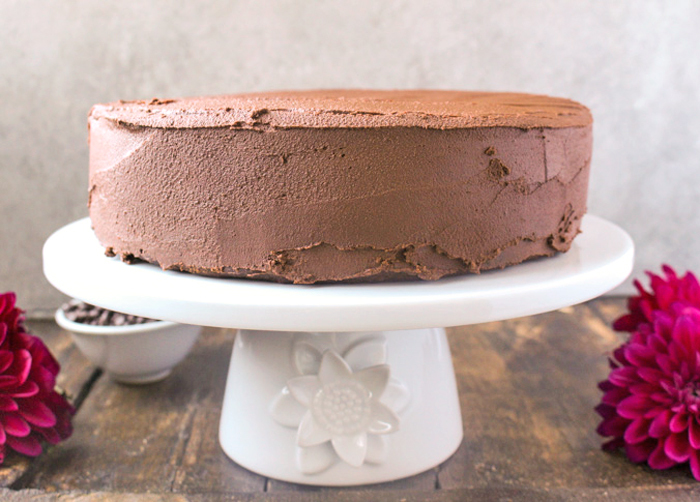 I shared this Paleo Chocolate Frosting a couple weeks ago and it compliments this chocolate cake so well. I don’t make layer cakes very often. I feel like they’re intimidating even though they’re actually quite simple. The batter is mixed by hand and ready to go in the oven in under 10 minutes. A super helpful tip is to line the bottom of the pans with parchment paper. 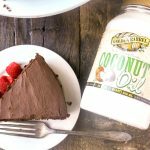 I just cut a circle out, placed a little coconut oil on the bottom of the pan, the parchment circle on top, then a little oil on top and on the edges. It helps for an easy removal. 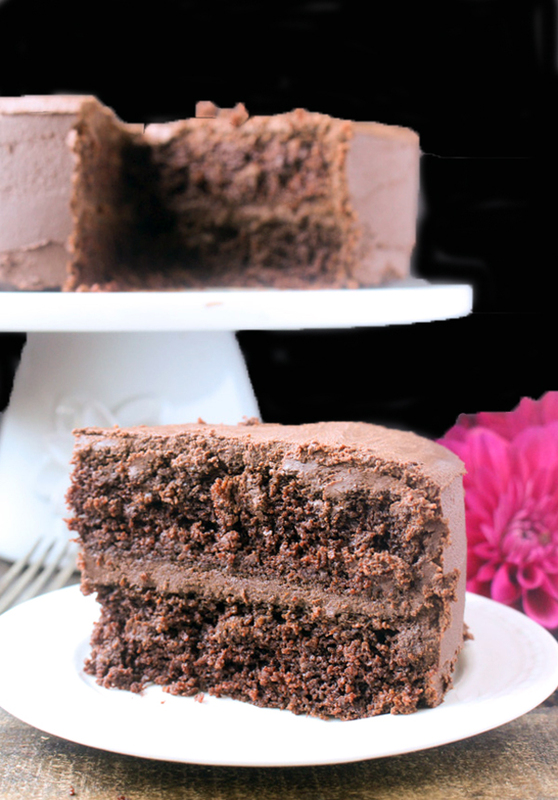 This cake is so good that you’ll have a hard time telling that it’s paleo. The crumb is exactly like a regular cake- light and airy, yet moist and rich. It smells like chocolate cake, it tastes like chocolate cake. It even can sit on the counter for a few days unlike most paleo baked goods. It doesn’t get too soggy or soft. It stays perfectly spongey. 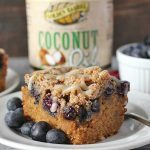 There is an ingredient added that I don’t usually add to baked goods and that is coconut vinegar. It reacts with the baking soda and helps the cake rise. It’s a necessary ingredient, even though it’s a small amount. You can’t taste it at all. You could also use apple cider vinegar if you don’t have coconut vinegar. 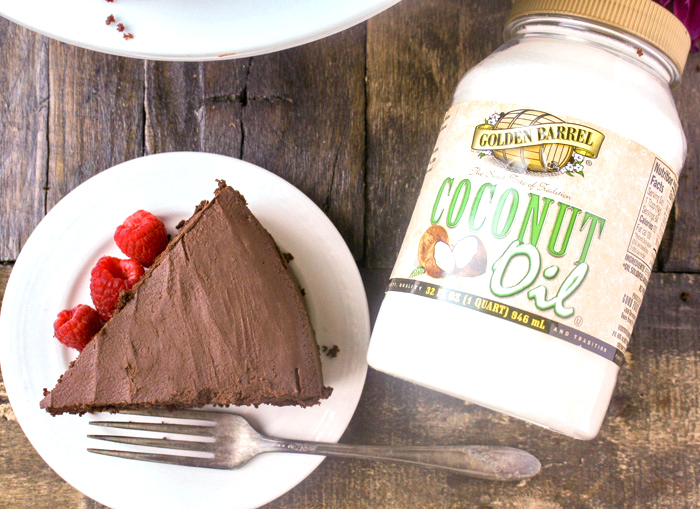 This easy paleo chocolate cake is sure to become a favorite! Try it and see how truly good it is! 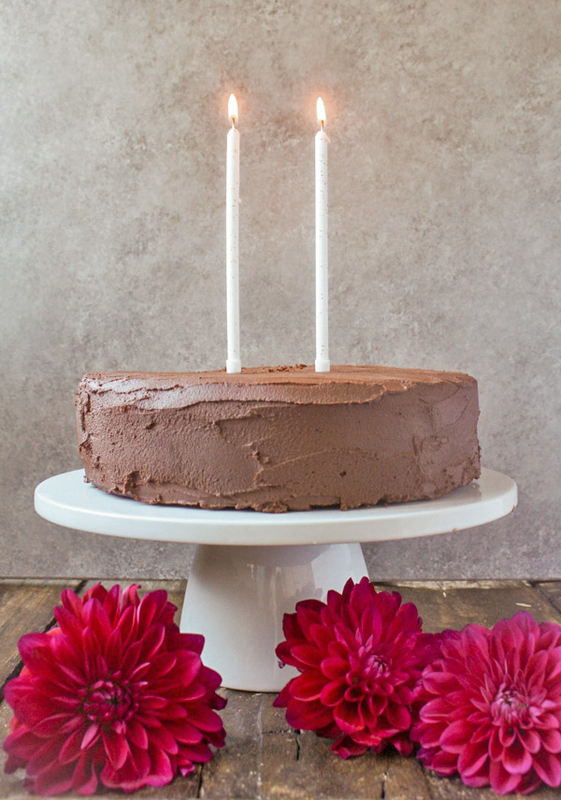 Here is the link again to the Chocolate Frosting– it takes a double batch. Preheat oven to 350° and get two 9 inch round pans prepared. Cut parchment paper to line the bottoms. 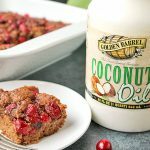 Spread a little coconut oil on the bottom of the pan, top with the parchment paper, then spread a little more oil on top and sides of the pans. Set aside. In a large mixing bowl, combine almond flour, coconut flour, cacao powder, cocout sugar, salt, and baking soda. Mix well and make sure any clumps are gone. In a large measuring cup (or medium bowl) combine melted coconut oil, almond milk, honey, eggs, vanilla, and vinegar. Stir well until fully mixed. Add wet ingredients to dry ingredients and stir until fully combined and no dry spots remain. Divide evenly between the two prepared pans. Bake for 25 minutes- a toothpick inserted in the center should come out clean. Let cakes cool for about 20 minutes, then remove them from the pans. Let them fully cool before frosting and stacking. Can be stored at room temperature for up to 4 days, refrigerated for a week or wrapped and frozen. 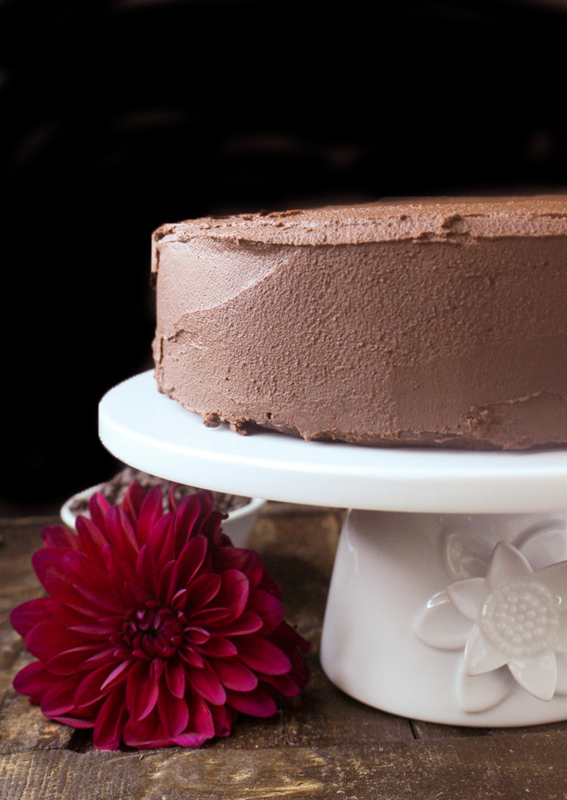 Once fully cooled, frost with Paleo Chocolate Frosting. It takes a double batch to generously cover the cake. Hi! Thanks for the recipe. Was hoping to make this tonight but cannot locate what temperature the oven needs to be. I hope you loved the cake! What about frosting is it included in the recipe?? You’re welcome, Lobna! Thanks for trying it! I’m so glad you like it! Hi. Can this cake be made in a 9×13 pan? Hi Amy- yes, that should work great. Enjoy! Made this today for a customer and it is absolutely delicious and moist! Will definitely add to my recipe collection. You’re welcome, Toni! Thanks for trying it and I’m so glad you like it! 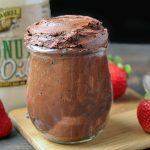 Can I use plain yogurt in this recipe? Hi Crystal- I don’t really know what you’re asking. Like use yogurt to replace another ingredient? I can’t say for sure since I haven’t tried it and can’t guarantee the results.